How often do we throw out garbage without a thought to possible serious repercussions of unsecured refuse? Garbage often contains jagged, sharp lids from canned goods, plastic bags (that in the hands of a child can lead to suffocation), and broken glass – a cornucopia of health and safety hazards. Simply put, it’s unsanitary and unsightly. As part of being a good neighbor, secure your garbage first and than place it into a closed container. When moving or doing spring cleaning, anchor the empty boxes as best you can with a heavier item to prevent them from blowing away. Leaving garbage exposed and open to the elements invites trouble. 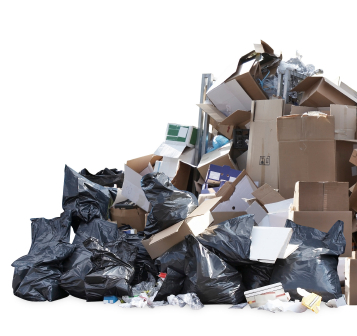 Open trash draws rodents, pests, animals and scatters about the neighborhood creating further health hazards and an unsightly presentation of your living area. A few extra moments of practicing good garbage etiquette is all it takes to preserve the neighborhood and do your part to avoid injuries or accidents that may result from carelessness. And don’t forget – place your garbage outside as close to pick-up time as possible. Take pride in you neighborhood. Practice good garbage etiquette. You live there too!